Rugged, Multi-Purpose Balances for a Wide Range of General Weighing Applications OHAUS® raises the bar in price-performance ratio with the newly-designed Navigator® series which is perfect for general weighing applications in laboratory, industrial and education settings. Ruggedly constructed and multifunctional, the Navigator® is a powerful balance that can handle a diverse range of weighing applications with features such as fast stabilization time, overload protection at four times its rated capacity, and easy operation. 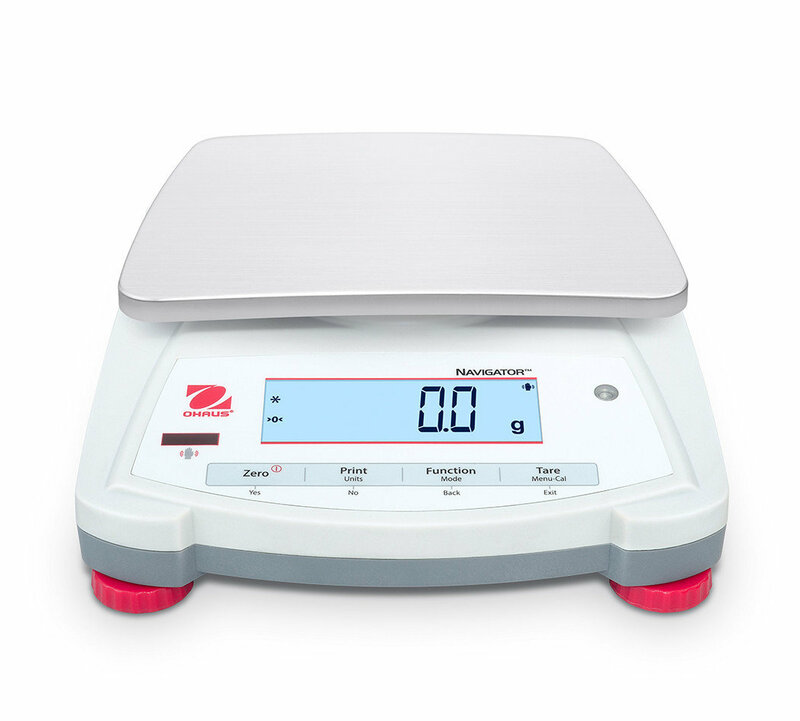 Designed for Accuracy and Repeatability in Essential Weighing Applications Designed for a range of essential weighing applications, the Navigator® offers accuracy and repeatability at a competitive price-point, making it a valuable tool in laboratory, industrial and education settings. Improved Productivity with Fast Stabilization Time The Navigator® series is designed to accurately stabilize in less than one second to provide fast and accurate weighing results, improving operator efficiency, productivity and throughput. Mechanical Overload Protection Safeguards the Balance and Increases Durability An overload protection system that can withstand loads up to four times the rated capacity safeguards the balance. An integrated shipping lock protects the weighing cell during transportation/storage. Touchless Sensor for Increased Convenience and Efficiency The Navigator’s® touchless sensor frees up your hands for handling samples. Users can zero, print, tare or change functions without touching the balance, keeping sample residue off the keypad.